I don’t believe any other hotel in Mostar can offer 24 hour views of the UNESCO Old Bridge. Check out the Hotel Kapetanovina website for the best room rates and to guarantee your 24 hour balcony view. For the latest events and pictures check the Twitter, Facebook and Instagram feeds. 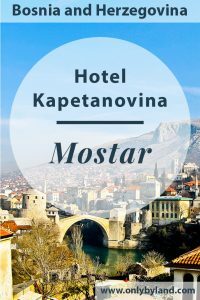 Hotel Kapetanovina is located a stones throw from the famous UNESCO site of Mostar. Due to its proximity, you can enjoy a prime view of the Stari Most bridge, day and night. It’s vital that you book the balcony room with a view of the bridge to fully take advantage of the location. In addition to the UNESCO site of Mostar being close, there are several restaurants and a supermarket nearby. 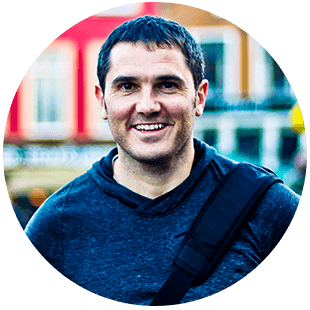 You’ll receive a friendly welcome to Mostar at check in. Be sure to ask about day tours to Kravice Falls and Blagaj. These are some of the most beautiful places you’ll see in your life and you can organize your trip at check in. I had done some research about the price of a day trip before visiting Mostar. When I was quoted the price, I was pleasantly surprised how it was less than I researched! Be sure to ask about places to visit in Mostar too, there are quite a few interesting locations. Guest rooms are modern and spacious. 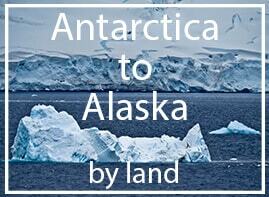 There are a variety of guest rooms available for all kinds of traveler. 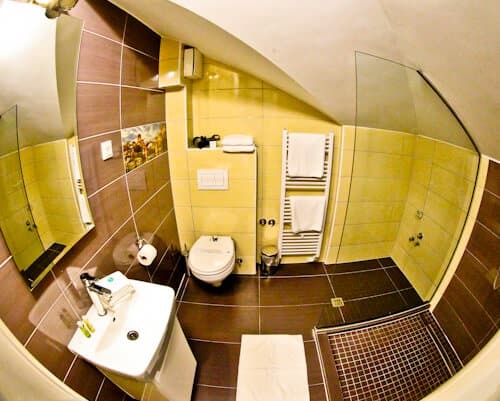 If you’re staying in Mostar long term, there is a room equipped with kitchenette. 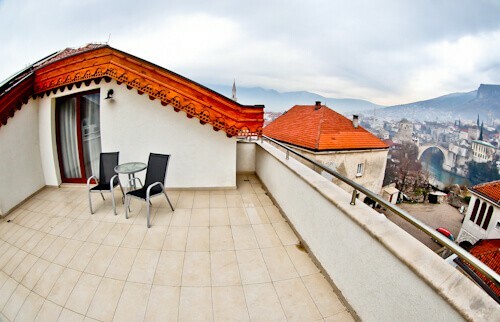 If you’re traveling to Mostar as a family, there are triple rooms and suites. For couples and solo travelers, a room like the one I stayed in is perfect (above). Additionally each room comes with cable TV and movie channels in English. Complimentary, fast WiFi is available throughout the hotel and in the rooms. A nice touch in the bathroom in my room was a tile with a Stari Most pattern on it. As well as the homely design, there’s a walk in shower. Most importantly you’ll have a heated towel rail, ensuring you can dry off with a warm towel. I strongly recommend you reserve the room with balcony views of Stari Most as far in advance as possible. As well as the 24 hour views of the bridge, the balcony is spacious too. It could be the best place to sit and watch the sunset from in Mostar. If you’re an early riser, the sunrise is pretty impressive too! The complimentary breakfast includes hot meats, cold meats, fresh breads, eggs and fresh fruit. To drink, there is a selection of juices in addition to the tea or coffee. You’re welcome to enjoy as much as you like which will give you energy for your days activities. Once you’ve finished your breakfast feast, feel free to take a piece of fresh fruit with you to enjoy later on. 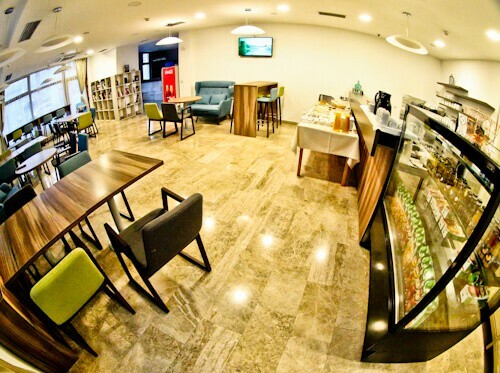 The staff at the hotel will be able to assist you with everything you wish to see and do in and around Mostar. 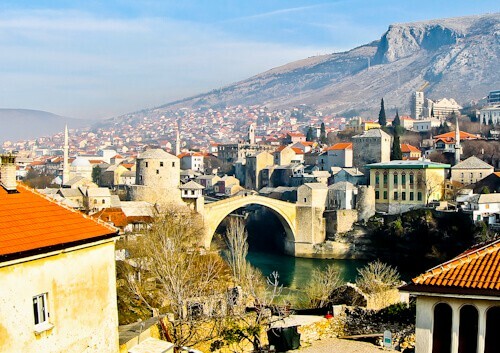 Whilst you’re relaxing in the hotel you’ll be able to enjoy views of the most famous site in Mostar, the Stari Most. Check out the Hotel Kapetanovina website for the best room rates and to guarantee your 24 hour balcony view. For the latest events and pictures check the Twitter, Facebook and Instagram feeds.